Terry Gilliam’s film about a boy who meets time-traveling dwarves where they encounter several mythological figures from Robin Hood to King Agamemnon. It’s an offbeat comedy filled with lots of imagination and ideas about legends and such while it never plays by the rules. 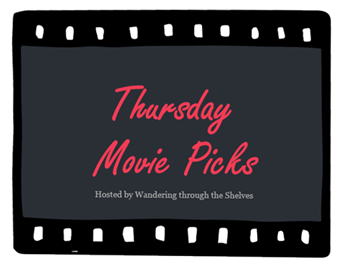 It also presents some of these figures including Napoleon Bonaparte in ways that are unconventional as Robin Hood is somewhat of an idiot while Sean Connery’s performance as King Agamemnon is presented with a regality that isn’t seen often in films. Gilliam’s 1988 film about a legendary fantasist is truly the kind of film Federico Fellini would’ve made in his prime as Gilliam did work with several of Fellini’s collaborators for this film where the titular character deals with aging and reality. 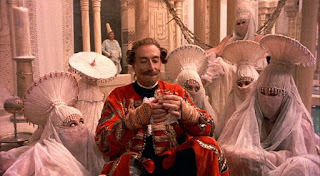 Featuring John Neville in a spectacular performance as the titular character, it has Munchausen encounter all sorts of mythological figures including Venus, the fire-god Vulcan, and Robin Williams as a delusional moon-king. It’s a film that is over-the-top but definitely play into the many tropes of legends and mythologies. Gilliam’s 1991 film set in New York City is this mix of grounded reality that collides with ideas of fantasy where a shock-jock tries to redeem himself by helping a man on a quest for the Holy Grail. Featuring Robin Williams in one of his career-defining performances as the ruined man and Jeff Bridges as the shock-jock in search of redemption. It’s a film that also doesn’t play by the rules yet it is one of Gilliam’s most accessible films in the way it plays into two men both going on a quest as it includes a well-deserving Oscar-award winning performance from Mercedes Ruehl as the video store owner Anne who prompts Bridges’ character to do what is right as she and Amanda Plummer also standout it is truly a film that does great work to play into the legend of the Holy Grail. Ooh, three Terry Gilliam movies! I like the theme within a theme. I picked a different Gilliam movie; you can probably guess which one. I haven't seen any of these but I've been meaning to watch The Adventures of Baron Munchausen ever since I saw Lost in La Mancha. I've only seen Time Bandits. Loved it as a kid, but need to revisit it. 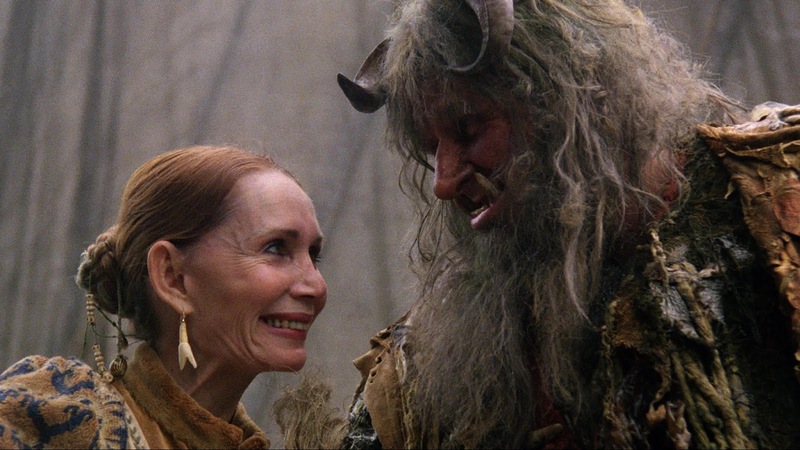 Been meaning to see The Fisher King for years. A very interesting group of picks and a theme within the theme which I always love to see! Time Bandits and Baron are singular off-beat entertainments that I enjoyed but had some trouble getting into at times. The Fisher King is a great catch, I would have never thought of it. Haven't seen it in a long time but remember it as being both challenging and interesting. Mercedes Ruehl was just great, I was surprised her film career stayed rather marginal but I think she prefers the stage. I also did a theme of sorts with all mine revolving around the Trojan War-one prior, one during and one post. Iphigenia (1977)-Michael Cacoyannis’s (Zorba the Greek) intense rendering of the Greek tale of child sacrifice. King Agamemnon kills a deer in the sacred grove of Artemis, the goddess of the hunt which keeps the Greek fleet from sailing off to Troy. Turning to the oracle for a solution the message is handed down that the only way Agamemnon can restore the wind is to sacrifice his daughter, Iphigenia, to the goddess of the hunt. Summoning her under the guise of a betrothal and marriage contract to Achilles he is then faced with the bitter pleas and recriminations of his queen Clytemnestra (Irene Papas) and the defiance of Achilles, who discovers the plot and tries to intervene. Potent film with Papas a FORCE as the embattled queen. Troy (2004)-While on an official visit Trojan prince Paris (Orlando Bloom) falls for Sparta’s King Menelaus's (Brendan Gleeson) wife, Helen (Diane Kruger) and she flees with him to Troy. Menelaus’s brother King Agamemnon (Brian Cox) sees his opportunity to declare war in his attempt to extend his control over the Aegean Sea. While stopgaps lead by Achilles (Brad Pitt) and Paris’s brother Hector (Eric Bana) are attempted at the behest of Trojan King Priam (Peter O’Toole) it all escalates into epic tragedy. Monumentally BIG production with an extremely starry cast is involving and compelling if overlong with good performances across the board save Bloom but Eric Bana stand out as Hector. The Trojan Women (1971)-After the sacking of Troy Queen Hecuba (Katharine Hepburn) reflects on her ruined kingdom. Her son’s widow, Andromache (Vanessa Redgrave) is raising their son, Astyanax (Alberto Sanz) alone and Hecuba's daughter, Cassandra (Geneviève Bujold) dreads enslavement by their Greek masters. Meanwhile Helen of Troy (Irene Papas) risks being executed. All the women fear for Astyanax as he is now the focus of the Greeks' attention as the last male heir of the Trojan royal family. With that powerhouse cast and a dramatic story this should have been a riveting watch but its muddy photography, inert staging and despairing tone make it a slog. I've never heard of any of these. The Fisher King sounds like something I'd watch though. Ah, the Fisher King. What a great inclusion and tremendous acting! I haven't seen it in years, but I remember it being tremendous! @Ted-I saw it and it's a good choice. @Sonia-See all of these films as they're considered his best as well as my all-time favorite film of his in Brazil. 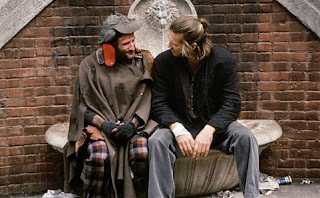 @Wendell-I think the time is now to go see The Fisher King as it does feature Robin Williams in one of his best performances. @joel65913-Troy is OK but a real mess of a film. It didn't work for me. @Birgit-You're welcome. Glad you love those films. @Courtney Young-I think it's a good time to see it again.